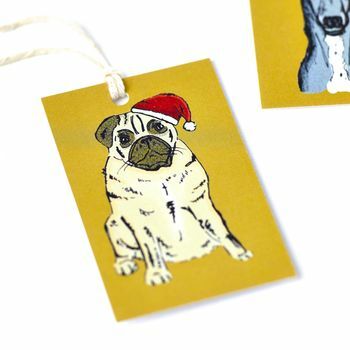 This set of eight Pug gift tags features a charming orginal illustration, and fastens with string! An ideal finishing touch to Christmas gift wrap! The drawing of Pug against a mustard yellow background fills the front of each tag whilst the back is left blank for you to write your own messages. The Christmas gift tags come with string, making it simple for you to attach onto any gift or present. 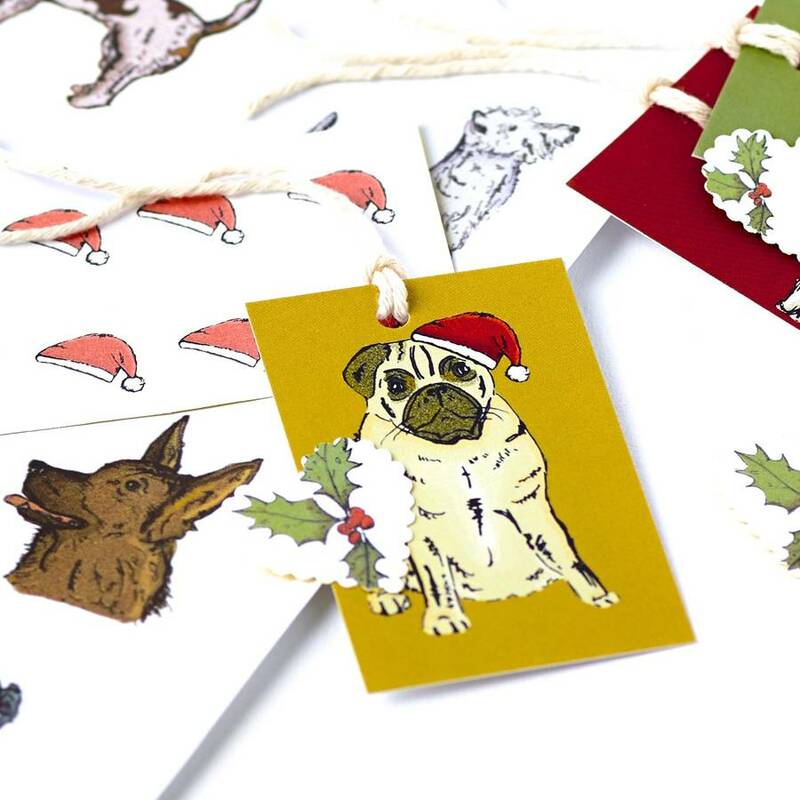 This set of eight dog Chrismtas tags makes a wonderful finishing touch to a simple brown paper parcel, or beautifully wrapped Christmas gift alike. Perfect Christmas gift wrap for anyone who loves pets, puppies, and pretty presents! Printed on beautiful matte card from my original black ink illustrations. Your set of eight gift tags will arrive, beautifully packaged, snug and safe, within a cellophane bag. Each gift tag measures approximately 5.7 cm by 9cm.